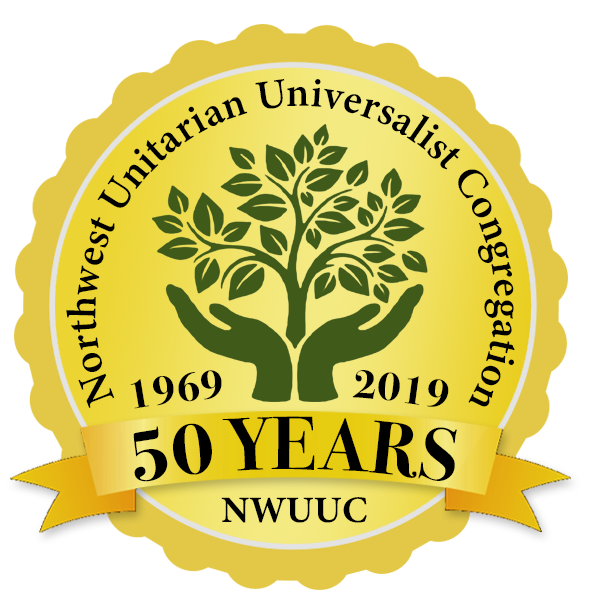 The Northwest UU Choir is made up of volunteer singers from among the congregation with varied levels of music experience from novices to choral music veterans. This diverse group comes together each week to practice new and old music, develop a cohesive choral sound, and learn effective vocal skills while simultaneously enjoying the company of like-minded singers with the goal of creating a diverse repertoire of beautiful music together. The Northwest UU Choir shares alternating Sundays music responsibilities with the Northwest Passage Band to bring balance to the overall Northwest Music experience. Join the choir! The Northwest Choir accepts singers of all levels in four voice parts: soprano, alto, tenor, and bass. Rehearsals are scheduled every Wednesday at 7:30pm and performance Sundays at 9am. Please email music@nwuuc.org and someone will contact you soon.